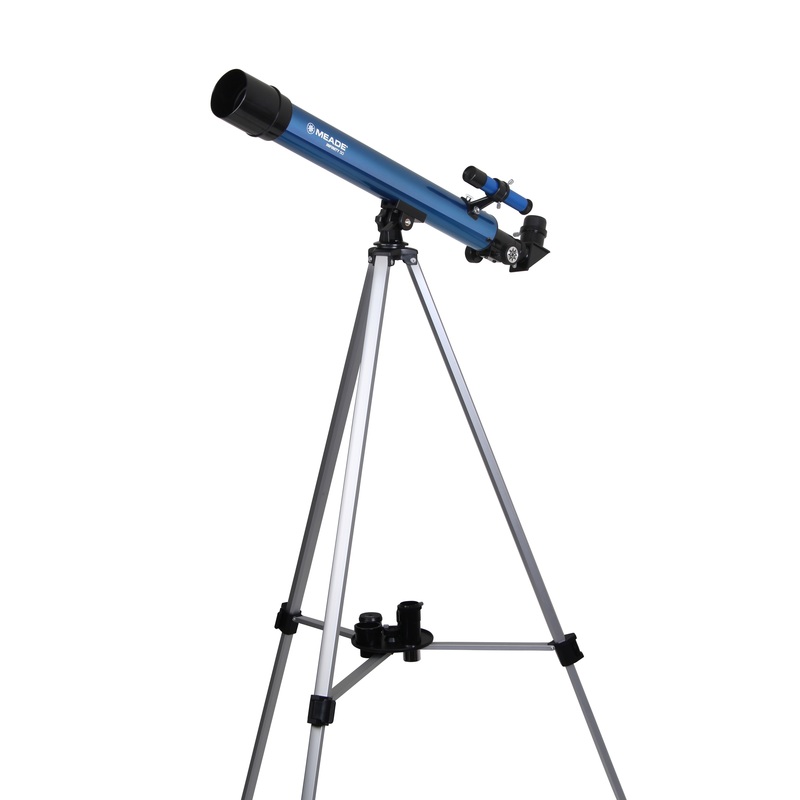 Explore the universe with the Meade Infinity 50! 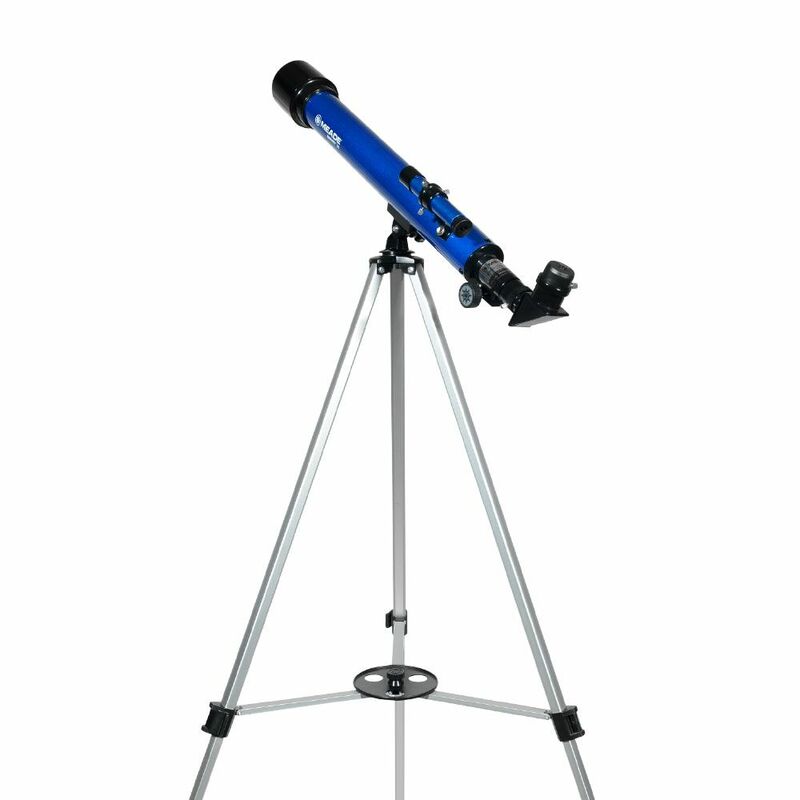 Telescope comes complete with everything you need to view the wonders of the night sky the first time out. 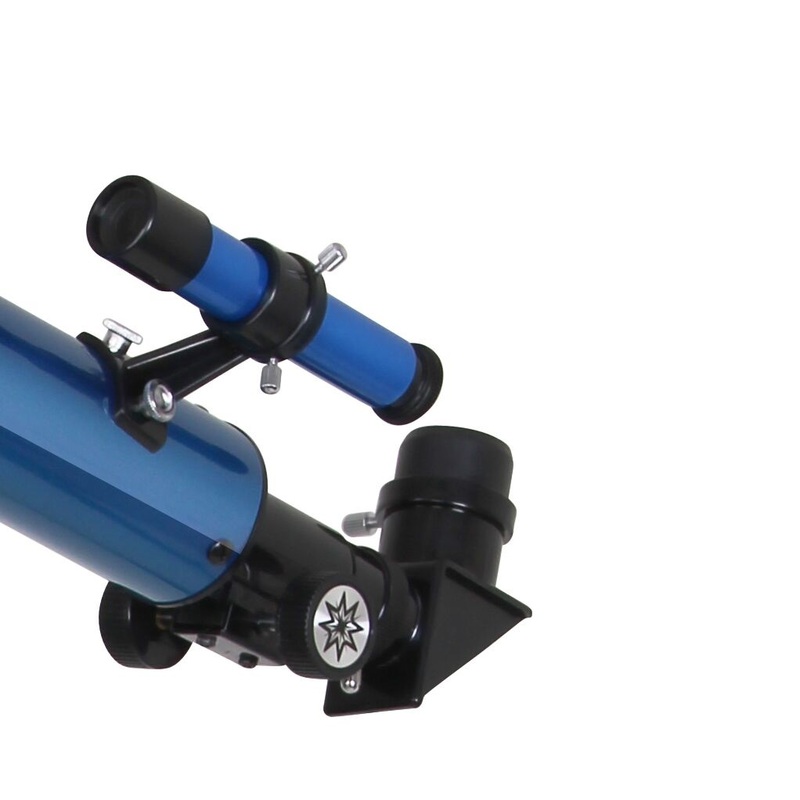 50mm (2”) Refracting Telescope delivers bright images that is ideal for viewing both land and celestial objects. 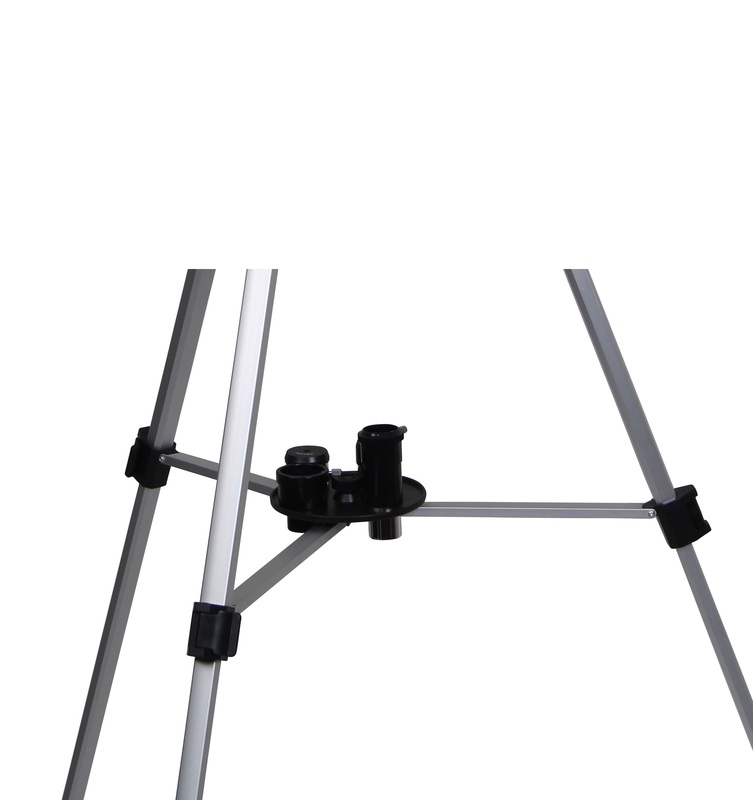 Features an altazimuth mount for easy and quick viewing. 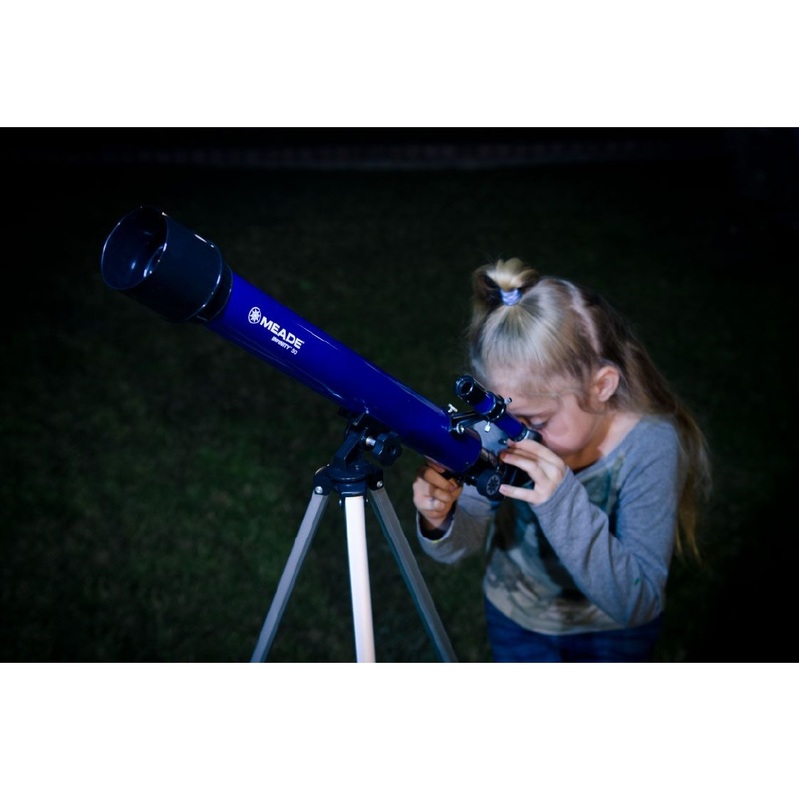 Comes with 3 eyepieces that provide low, medium and high powered magnification for viewing a wide range of objects (Moon, planets, or land). 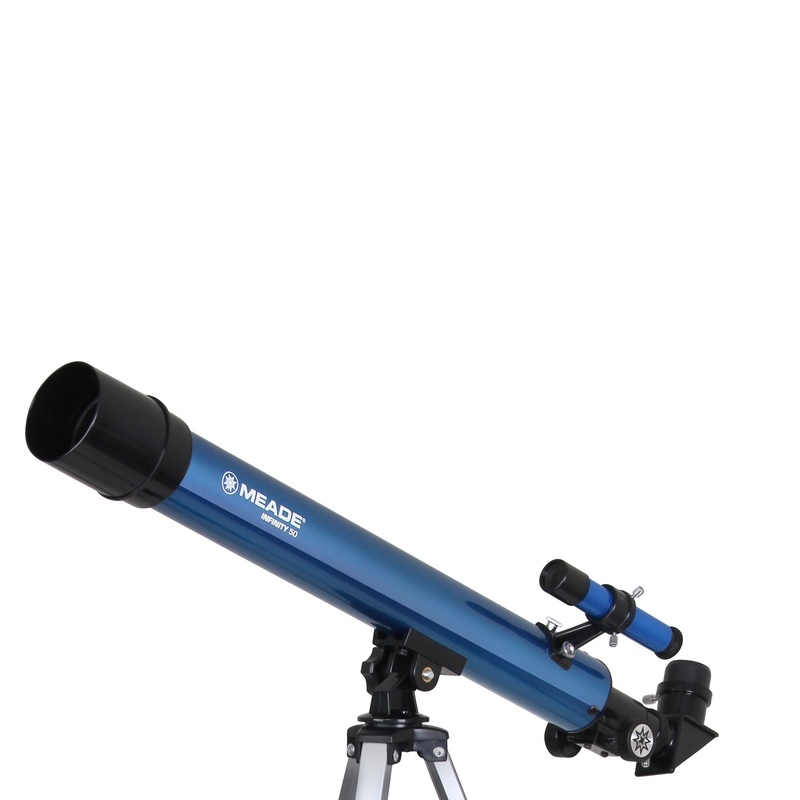 Includes a 5x24 optical viewfinder to help locate objects you want to observe. Bonus: AutoStar Suite® Astronomer Edition Software on DVD. AutoStar Suite Astronomer Edition software will help you learn the night sky. It displays more than 10,000 celestial objects including planets, stars, galaxies and nebulas. You can print out star charts and even plan your observing session. It operates on any Windows® based PC.